If you’re a snow person, now’s the time to hit the slopes! 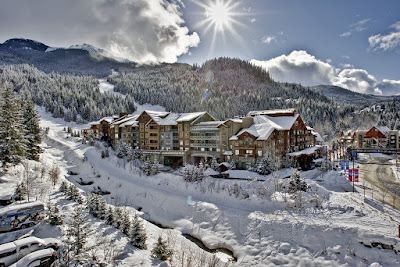 Whistler, is just two hours north of Vancouver, has lots of fluffy powder plus awesome skiing at any level. While the winter months are close to freezing, March brings warmer temperatures and great skiing conditions. Hotels will also be a lot more affordable at this time of year when the tourists start to disappear. 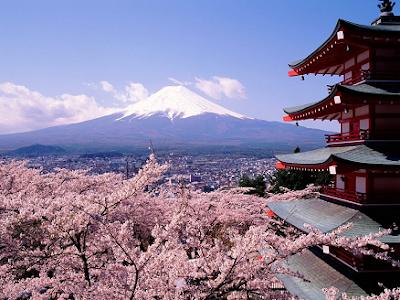 Visiting Tokyo in March is kind of like a real-life fairy-tale. Everywhere you look, you’ll see gorgeous pink and white cherry blossoms and temperatures hover at a warm degree. If you’re a fish lover, the fish at the Tsukiji market are fresh and plentiful! If you can’t make it to Japan, then consider Washington, which is in simultaneous bloom. 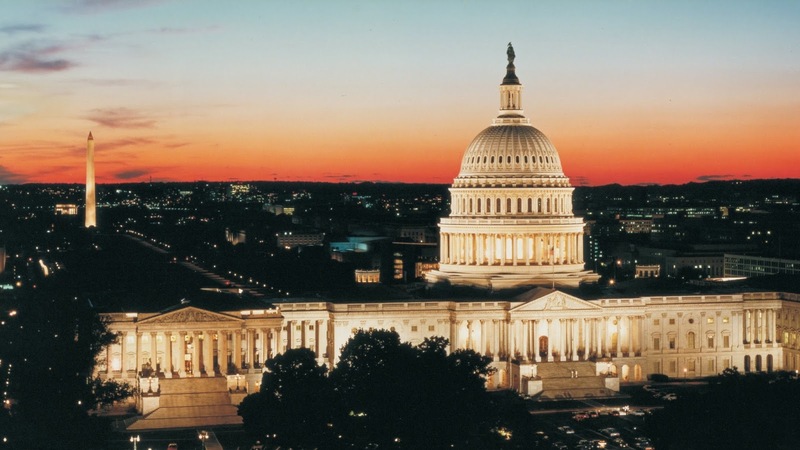 The National Cherry Blossom Festival starts on March 20th and the weather is great for exploring the monuments. When you need a break from all the sightseeing, check out the burgeoning food scene. 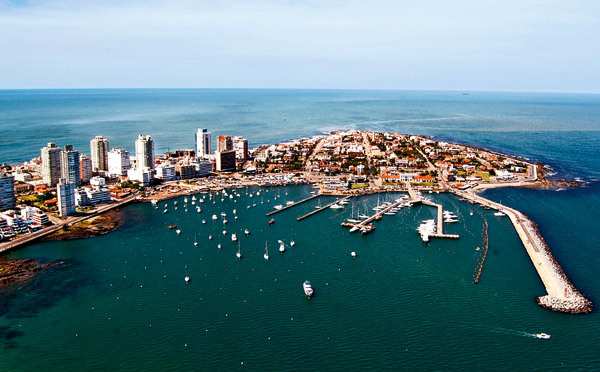 You might not think that Uruguay is a beachy hot spot, but that makes it the perfect choice for international spring jaunts. The town of Jose Ignacio is known for its boho vibe, gorgeous sand and amazing nightlife. Throughout March, you’ll find constant sunshine and high temperatures. 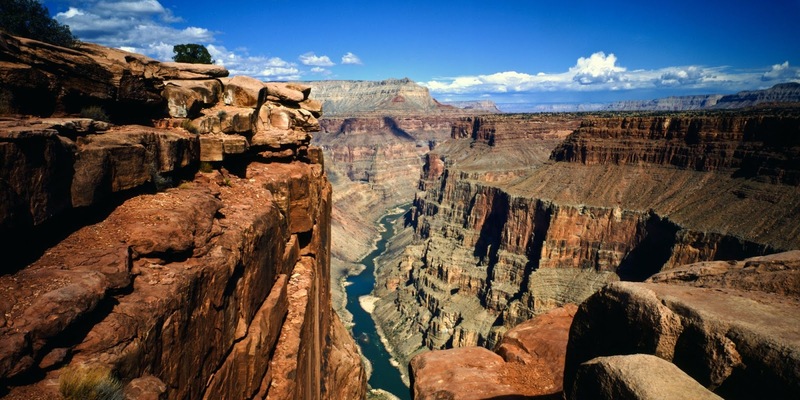 Want to visit America’s famous natural wonder, but worried about all the annoying tourists? If you head to The Grand Canyon in early spring, you’ll beat the majority of the crowds but still be able to take advantage of all that outdoor goodness. Enjoy the amazing view along with hiking, rafting and camping under the desert skies. 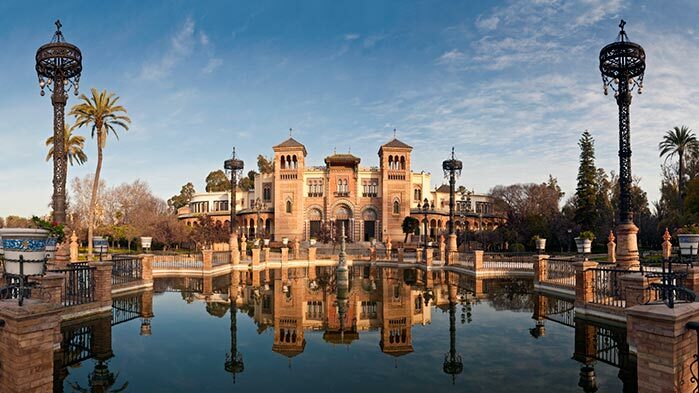 With its beautiful gardens and cobblestone streets, Seville often feels like a quaint old town. 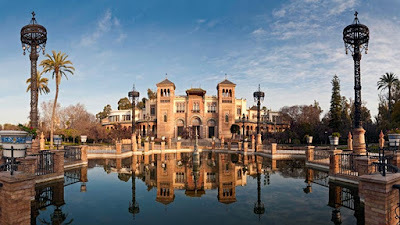 Visit in March to witness Semana Santa, a holy week leading up to Easter, when the city is alive with parades, parties and music. 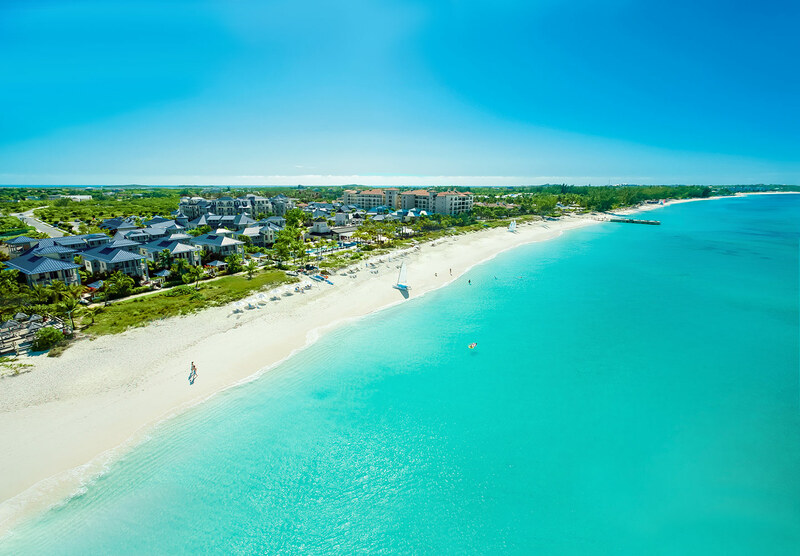 Jet off to Turks and Caicos, which is known for gorgeous coral reefs and azure water. The plane tickets are cheap and the tourists are few, so get busy bathing suit shopping and then make your way to the beautiful Turks and Caicos. Go on, get out of town this March! The only downfall when traveling is the stress that comes with finding at affordable shuttle service that can take you to and from the airport. Airport Shuttle in Cape Town is a reliable, speedy taxi service that will get you to the airport comfortably and on time! Back in the day, it would be the norm to dress in your Sunday best to board a plane. However, these days you are more likely to spot someone in their pajamas with a bright yellow travel pillow around their neck. From Japanese creators Kerchair you can now rest your head on a realistic looking shrimp. Yes, you read correctly – a shrimp! Anyone fancy having a good night’s rest on a tempura prawn? 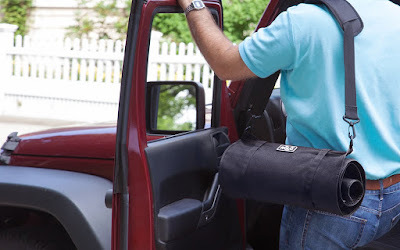 You’re certainly going to love this travel seatbelt pillow thingy-majingy from Travelrest. 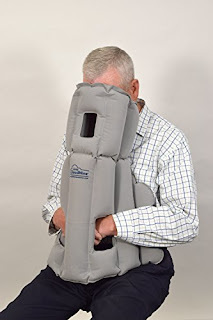 Perhaps the design gives you that extra feeling of safety. 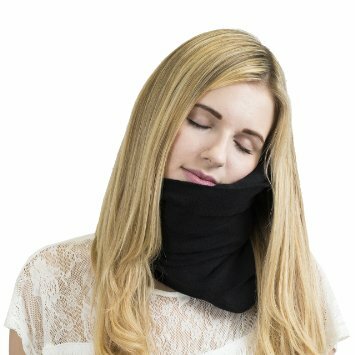 Scientifically proven super soft neck pillow from Trtl might look a bit weird, but who cares when its got the health factor, right? Swallow your fashion pride and think about your well-being. 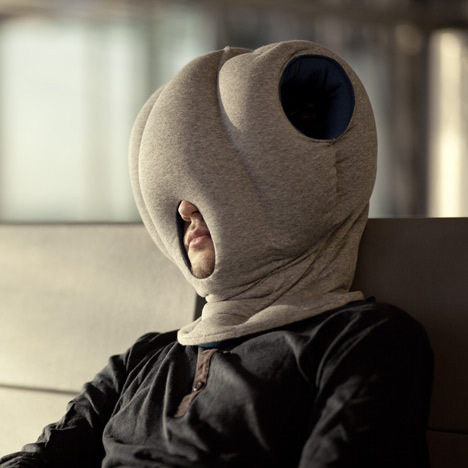 The Ostrich Pillow makes for the perfect napping pod. It looks kind of like a giant marshmallow combined with a strange looking helmet. However, it’ll leave you feeling like you’re travelling through all the galaxies and beyond. Travelling solo? Looking for the love of your life? 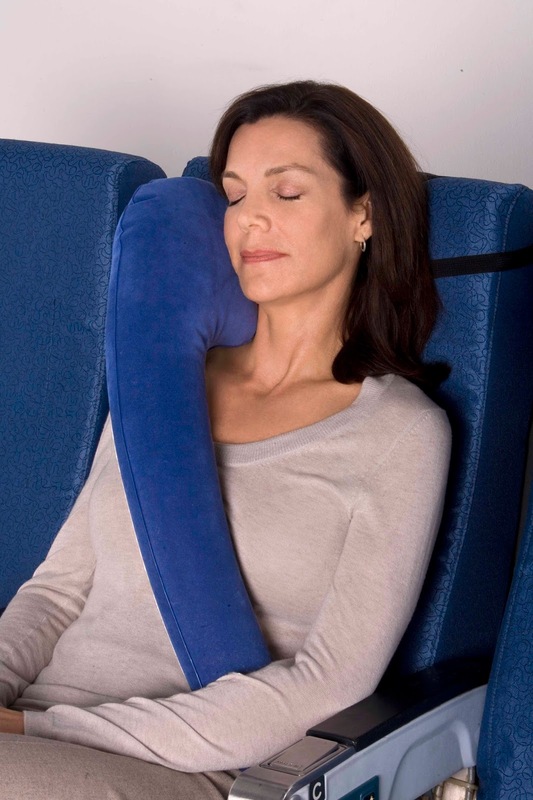 Well, don’t look any further, because now you can buy this totally awesome travel pillow arm from Deluxe Comfort that hugs you 24/7! 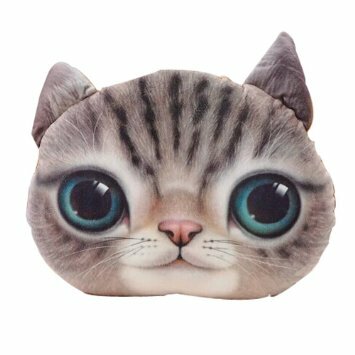 There will always be one crazy cat lady on board your flight and the chances are that she’ll already have one of these. If you’d like to join the cat cult then head over to Lifejoy for this creepy companion. Instructables.com came up with a crazy, yet genius idea for those who have plenty of time on their hands. 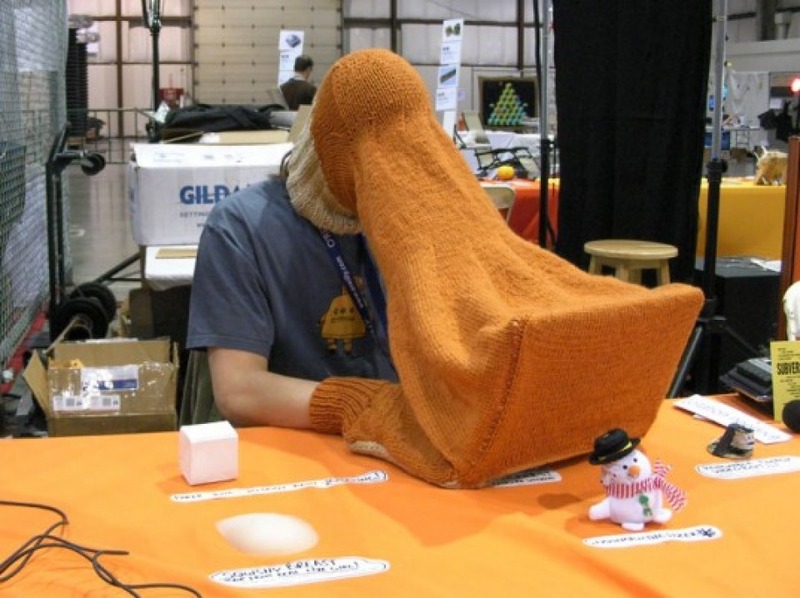 All you need is a pair of knitting needles and some yarn to make your very own giant knitted laptop-tent-shield. It should be mandatory for everyone to have at least one of these hilarious travel pillows on hand when go on their next trip! If you're going to be traveling to or from Cape Town, why not give Airport Shuttle a call? Our shuttle service is speedy, reliable and affordable, plus we can get you were you need to be comfortably and on time! This is probably the best suitcase of all time! Travelling can be a real hassle, most of the time you’re stuck with early morning wake-ups, unexpected delays and unpredictable weather. But, what about packing? Well, it doesn’t have to be so bad! 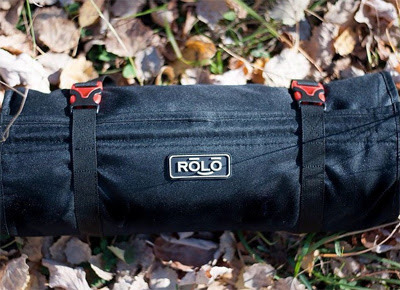 This is where Rolo comes in – the suitcase of your dreams. This Kickstarter- funded bag has a mesh interior with many different compartments, and the entire thing rolls up to keep your wardrobe organised and in place while you travel. It even has a hook, so it’s easy to hang up once you’ve reached your destination.